Alpine ski racer Melanie Schwartz is racing for the United States in Sochi. The Canadian native has duel citizenship and raced for Canada at the Vancouver Games. She trains in Aspen. At the U.S. Adaptive Alpine National Championships, skiers fly down a steep slalom course at Buttermilk mountain, just outside of Aspen. The competition, in mid-February, is one of the last contests before the Paralympic games. In Sochi, athletes from 45 countries are competing in five events: alpine skiing and snowboarding, biathlon, cross country skiing, ice sledge hockey and wheelchair curling. Kevin Jardine is the High Performance Director for Paralympic Alpine Skiing for the U.S. Olympic Committee. "The athletes compete in one of three groups. The first group is the visually impaired athletes, the second is the standing athletes, like arm or leg amputees and the third group is the sitting athletes. So, at every medal ceremonies for an event, there will be three medals given out for visually impaired, three for sitting and three for standing," he says. One “standing” skier is Melanie Schwartz, 28. The Toronto native who now spends part of the year training in Aspen. She started competing in 2007 as a hobby. "So, I had a full time job but I’d train with the race team on the weekends and I ended up loving it. Originally I was only going to do it for one year, and here we are eight years later!" Schwartz was born missing her femur. When she was young, she had an operation called a Van-ness rotation, or rotationplasty. "Because I have my calf - my tibia, fibula, ankle and foot, I had a surgery when I was four where they basically cut my leg off, turned it around backwards and stapled it back on, which sounds weird, but makes perfect sense because it allows me to use my ankle as a knee," she says. The modification is especially helpful when she wears a prosthetic leg but, for racing, she skis on just one leg and uses outriggers, or poles with mini skis on the bottom that help with balance and control. "Melanie works very hard, she’ll ski basically until we tell her that she needs to stop," says Jonathan Mika, Schwartz’s coach. He says her determination helps her on the slopes. "Mel’s very analytical in her and sometimes that gets in the way of her skiing, but I think since she’s moved to Aspen, she’s gotten a lot of experience freeskiing and outside of the gates, which has helped her tremendously." Schwartz has had a good season, making it onto the podium in national races and placing in the top ten in World Cup’s. She’s level-headed about competing in Sochi. "I don’t think I’m anyone special, I’m just a regular person and I’m passionate about ski racing, so that’s what I want to do. And, I’m always challenging myself to be as good a skier as I can be," she says. Twenty-six alpine athletes will ski for the United States in Sochi. Eight of them trained in Aspen with the Aspen Valley Ski and Snowboard Club’s adaptive program. Eight athletes who train in Aspen arrived in Sochi this week for the Paralympics. The Games’ opening ceremony kicks off Friday in Sochi and will be broadcast in Colorado on NBC Saturday morning. Carbondale resident Kevin Jardine coaches the Aspen athletes and works for the U.S. Olympic Committee. 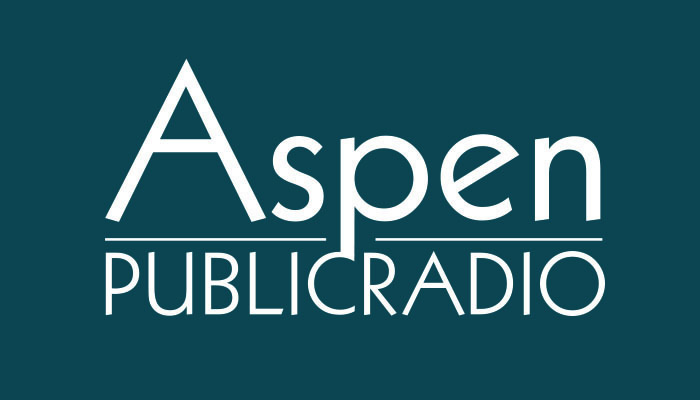 He told Aspen Public Radio’s Marci Krivonen being in Sochi is exciting.